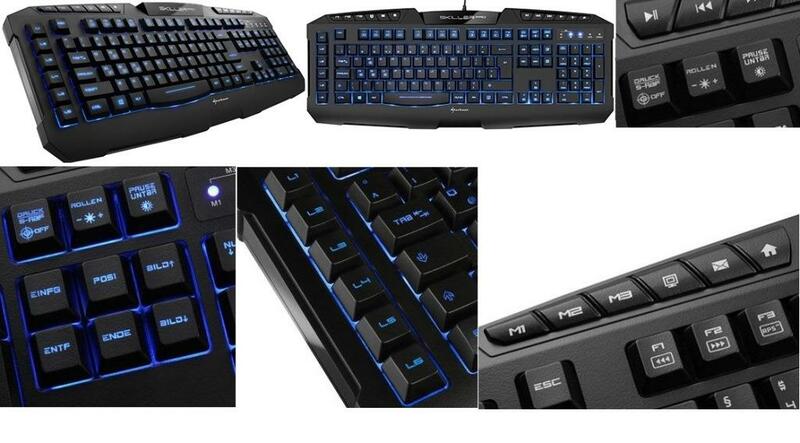 Logitech G410 Atlas Spectrum Mechanical Gaming Keyboard is an RGB-backlit, ultra-light, ten keyless mechanical keyboard with Romer-G mechanical key switches, making it up to 25 Percent faster than Cherry switches. Ultra-light, compact, portable design makes Atlas Spectrum easy to carry to LAN events and tournaments. 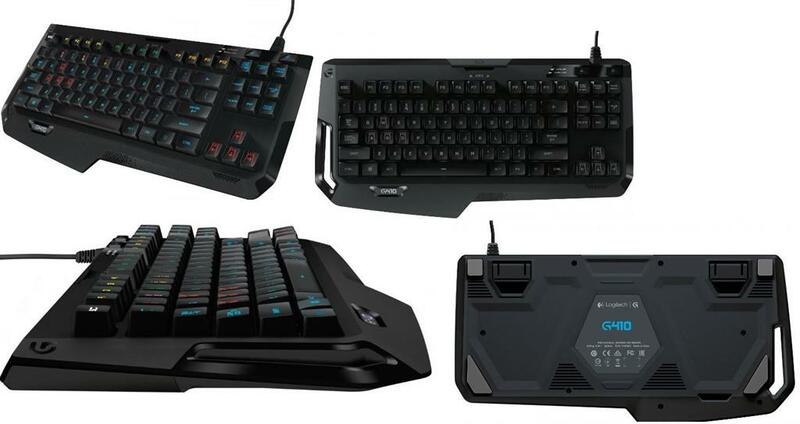 With only the vital keys for gaming, Atlas Spectrum is designed to comply with pro gaming tournament regulations. For low-DPI gamers, its compact design gives you extra space to make wide swipes with your mouse. Using a mouse with a tenkeyless keyboard to play games is more comfortable because it allows your hands to be more naturally spaced. 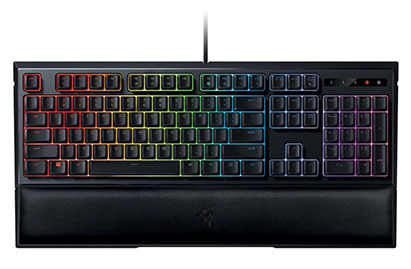 Find the right keys in-game or in the dark with backlit keys. Logitech Gaming Software gives you control of lighting for optimum glow patterns and effects and lets you synchronize lighting effects with other Logitech G devices. Keep track of spells and other commands, games or game events by marking the keys from a palette of up to 16.8 million colours, or change colours to match your setup. Atlas Spectrum has centrally lit keycaps and more uniform lighting coverage across each keycaps for cleaner, more readable key lettering. Built-in audio controls allow you to play, pause, stop or skip tracks right from your keyboard. You can also control your audio volume or mute your audio without having to leave your game. 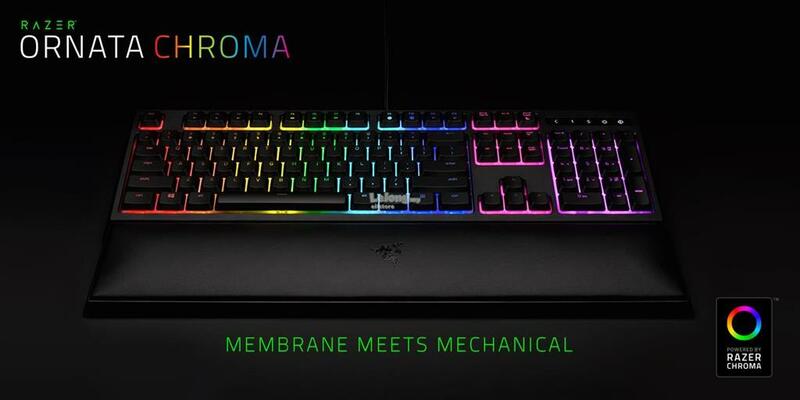 Powered by Razer Chroma, the Razer Ornata Chroma goes beyond being able to create and display incredible lighting effects. With interactive in-game effects, you'll experience more immersive gameplay as your keyboard reacts to your game. 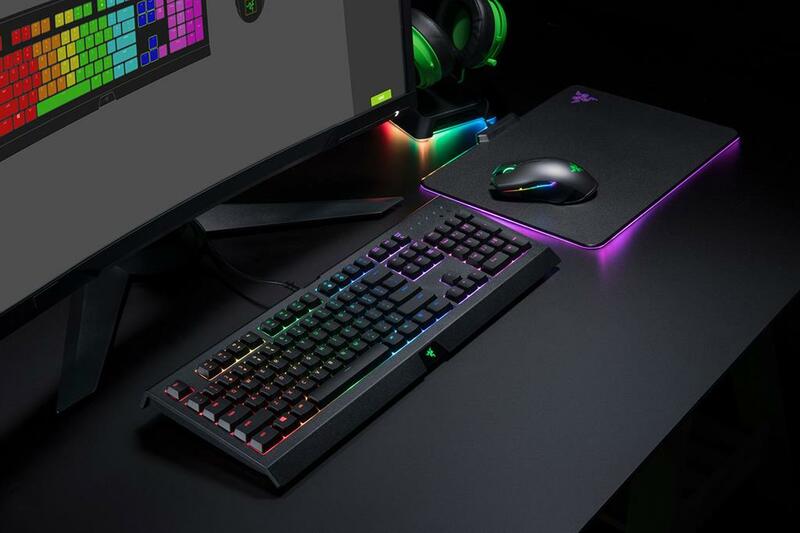 Specially designed for the Razer Ornata Chroma, this wrist rest features ergonomics which ensure that no matter how intense your gaming marathons are, you're always comfortable. 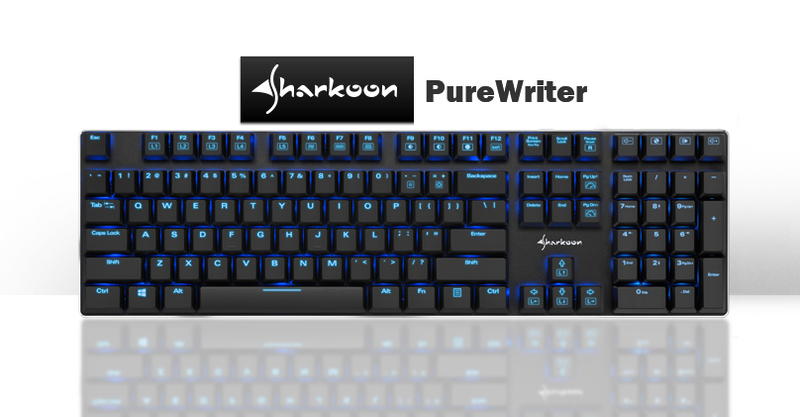 Sharkoon PureWriter Mechanical USB lkeyboard with Nuetral Blue LED illumination - 1000Hz MAX Polling Rate - Blue Switch, Retail Box , 1 Year warranty. 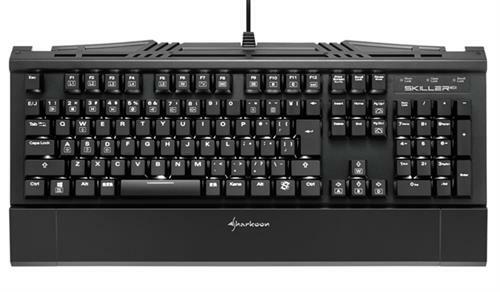 With the PureWriter, Sharkoon presents a purist keyboard for all occasions, which, in addition to its timeless elegance, stands out particularly though innovative mechanical switches in an ultra-flat design. The frameless keyboard measures a compact 436 mm in length, 127 mm wide and only 23 mm in height when the feet are folded in, making it as flat as possible. With a weight of only 642 grams and with two USB cables 50 cm and 150 cm in length, it is extremely easy to transport and can be used anywhere, whether on the go, at home or in the office. 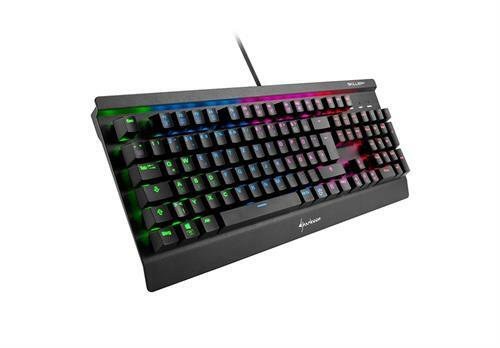 Sharkoon PureWriter Mechanical USB lkeyboard with Nuetral Blue LED illumination - 1000Hz MAX Polling Rate - Red Switch, Retail Box , 1 Year warranty. 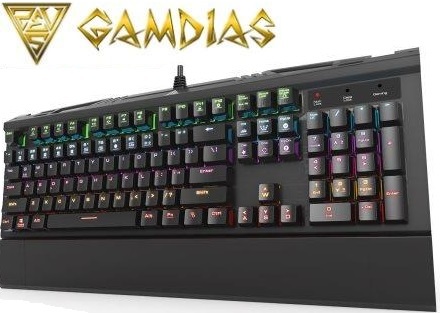 The Gamdias Hermes 7 colour spectrum mechanical gaming keyboard exceeds basic user demand and enriches the distinct design of the GAMDIAS Hermes Series. The Hermes 7 colour spectrum is small but elegant; simple yet powerful and offers enhanced durability. GAMDIAS Certified Kailh Blue switches with a 50 million actuation lifecycle, 7 colour spectrum backlighting with 14 sets of lighting effects (9 pre-set and 5 customizable), WASD-Arrow key swap, Consecutive Attack Mode, Multimedia control keys, Keyboard lock, Windows key disable, and more…One really great feature of this keyboard is that the indicators on the keycaps really give you a clear and easy sense of how to use all the features of the keyboard without having to rely on the instruction booklet for most tasks. 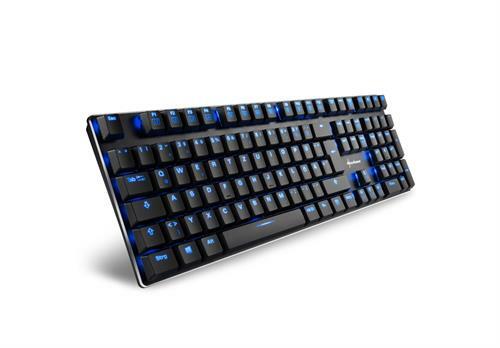 Sharkoon PureWriter TKL Mechanical USB lkeyboard with Blue LED illumination - 1000Hz MAX Polling Rate - Blue, Retail Box , 1 Year warranty. 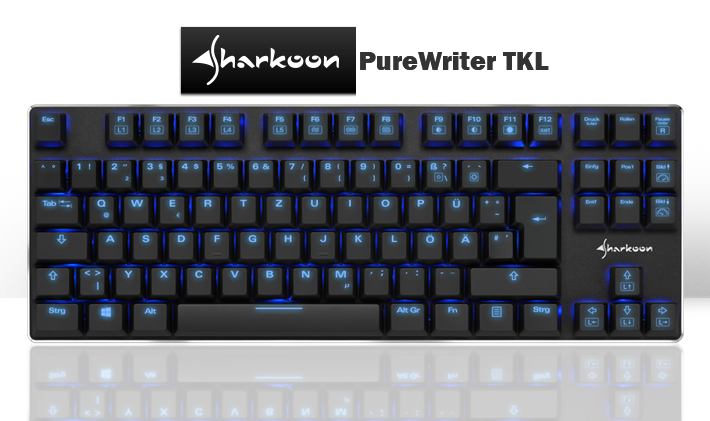 With the PureWriter TKL, Sharkoon presents a purist keyboard for all occasions, which, in addition to its timeless elegance, stands out particularly though innovative mechanical switches in an ultra-flat design. Thanks to the missing number block, the frameless keyboard measures a compact 355 mm in length, 127 mm wide and only 23 mm in height when the feet are folded in, making it as flat as possible. With a weight of only 503 grams plus with two USB cables 50 cm and 150 cm in length, it is extremely easy to transport and can be used anywhere, whether on the go, at home or in the office. Sharkoon Skiller SGK3 Mechanical USB gaming keyboard with RGB LED illumination- 1000Hz MAX Polling Rate - Red, Retail Box , 1 Year warranty. The SKILLER MECH SGK3 is just as straightforward and robust in its design as the SGK2, but includes a 3-block layout and rich RGB illumination. 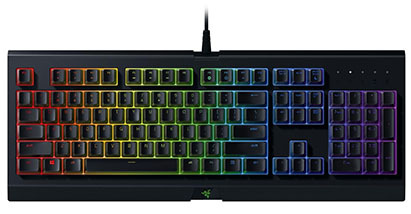 The mechanical keyboard is built specifically for gaming pros and offers much more than just its looks: The SGK3 offers an intuitive, fully customizable gaming software plus n-key rollover, anti-ghosting keys, polling rate of 1,000 Hz, gaming modes, arrow keys functions interchangeable with the WASD section and function keys with preset multimedia actions. The proven Kailh switches do their utmost to ensure gamers always have full gameplay control. 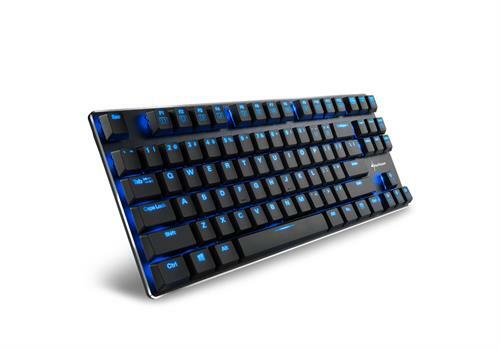 Sharkoon Skiller SGK3 Mechanical USB gaming keyboard with RGB LED illumination- 1000Hz MAX Polling Rate - Blue, Retail Box , 1 Year warranty. 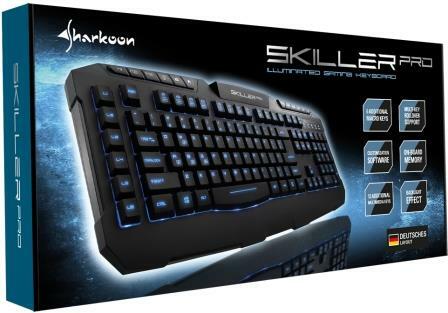 Sharkoon Skiller SGK3 Mechanical USB gaming keyboard with RGB LED illumination- 1000Hz MAX Polling Rate - Brown, Retail Box , 1 Year warranty. The SKILLER MECH SGK1 is the first mechanical keyboard from the Skiller series. The massive line management, reinforced aluminium alloy surface and white background illumination promises an excellent gaming keyboard, which optically needs not to hide. Its internal merit continues to impress with its n-key rollover, anti-ghosting, gaming mode and interchangeable WASD section. The SKILLER MECH SGK1 is available with high-quality Kailh switches. The choice of which one is up to you. Shall it be the popular Brown switches, whose switch behavior most closely resembles rubber dome keyboards. Or perhaps you are more of a writing type who wishes to experience an acoustic feedback – then Blue switches are for you. Gamers will enjoy the feedback of Red switches. 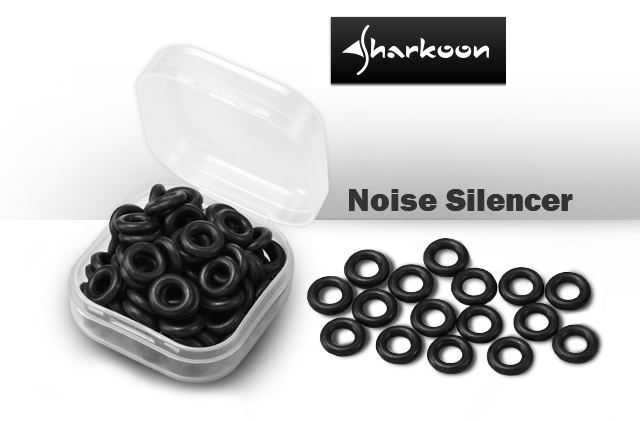 SHARK ZONE: The new series from Sharkoon – specifically designed for gamers! 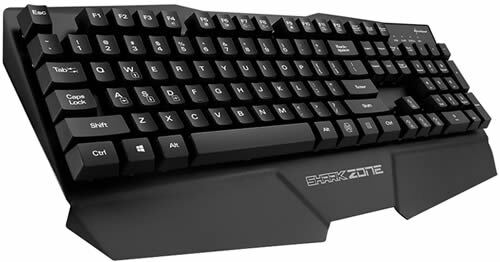 The Sharkoon SHARK ZONE K30 Illuminated Gaming Keyboard offers all gamers a modern input device with advantageous features. The keyboard impresses with its striking SHARK ZONE design and significantly upgrades the look of any gaming system. The white LED illumination is of course customizable and can be easily adjusted on the keyboard without installed gaming software. To run macros more comfortably and/or start profiles, the K30 provides five practical macros as well as three profile keys. The Sharkoon Skiller Pro Illuminated Gaming Keyboard is the latest version of the popular Skiller keyboard and in the Pro version offers even more features for gamers. The blue illuminated keyboard in a 3-block standard layout, including multi-key rollover support, also offers six macro, three profile and nine multimedia keys. The Sharkoon SHARK ZONE K15, from our popular gaming series, stands out with its robust design: The entire housing is frameless and is completely metal, which is why the freestanding keys are an outstanding advantage. It also has an integrated palm rest, which promises fatigue-free gaming at all times as well as maximum stability on the table. The SHARK ZONE K15 not only impresses with its massive appearance but also offers simple operation and easy setup. It connects via its textile braided cable with gold-plated USB plug; your features can be used by a shortcut without having to install the software. Likewise, via shortcuts, the practical gaming mode with disabled Windows key can be selected. All keys on the keyboard can be locked, if desired. In addition, the functions of the WASD keys can be interchanged virtually with the arrow keys. For even simpler operation, the keyboard has seven function keys available with preset multimedia actions. With a simple click the media player, web browser and e-mail can all be comfortably launched, for example. The desired volume level can also be easily adjusted.